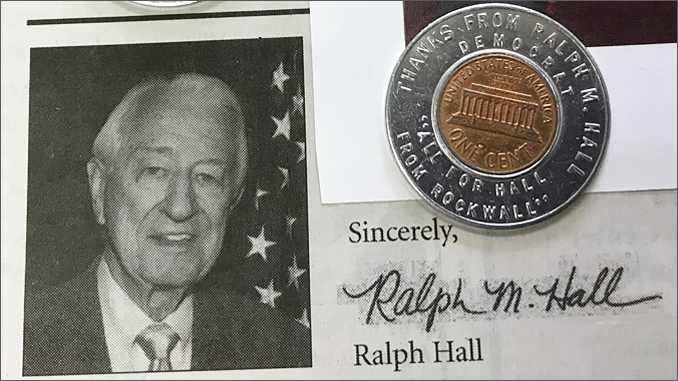 Rockwall, Texas (Saturday March 16, 2019) – As he is laid to rest in his hometown, Rockwall fondly remembers our former Congressman Ralph Hall. 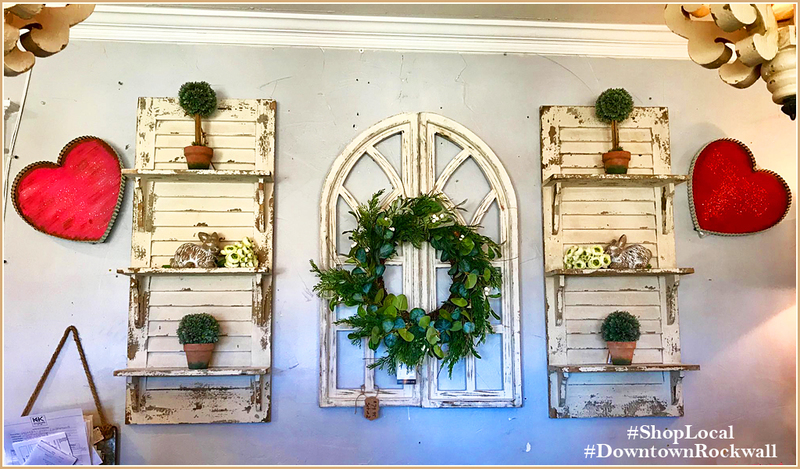 Ralph Moody Hall was born May 3, 1923, lived his life fully and completely until he died peacefully in his home on March 7, 2019. Born in Fate, Texas, one of three children, Ralph lived in Rockwall, Texas where he graduated from Rockwall High School in 1941. After graduation, he joined the United States Navy on December 10, 1942, serving as an aircraft carrier pilot from 1942 to 1945 during World War II, attaining the rank of Lieutenant. After the war, Hall attended Texas Christian University and The University of Texas from 1946-1947, receiving a law degree from Southern Methodist University in Dallas in 1951. 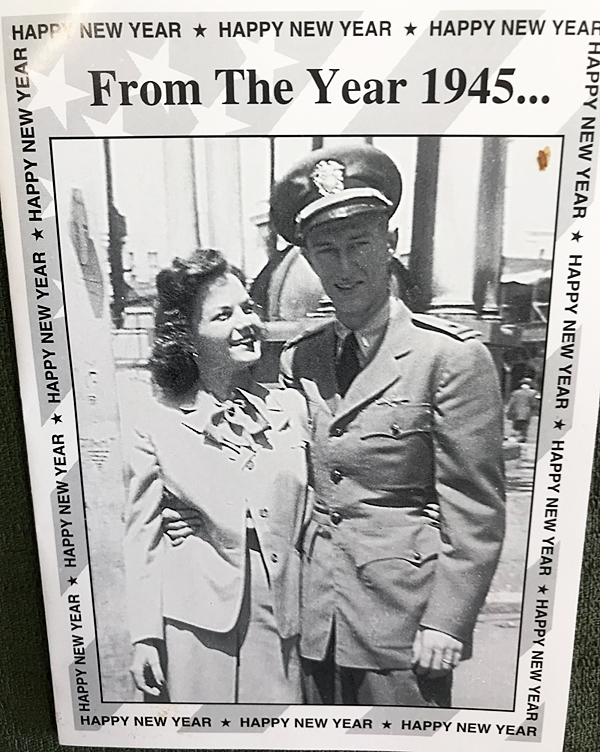 Ralph married Mary Ellen Murphy in 1944 while he was serving in the navy in Pensacola, Florida. 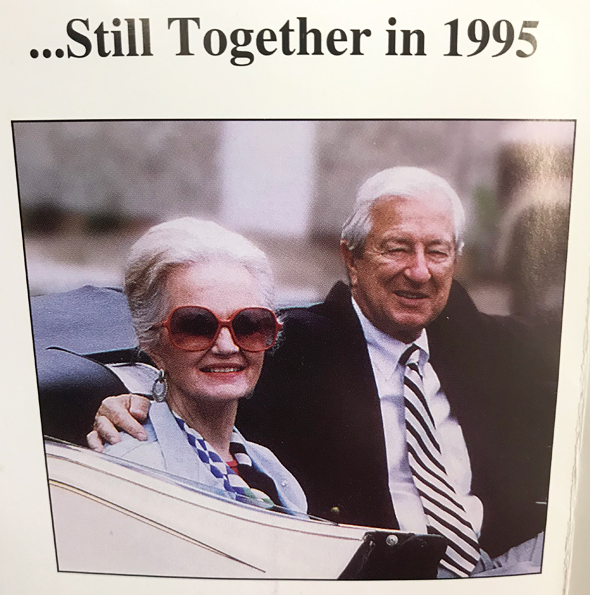 Ralph and Mary were married for sixty-four years before her death in August of 2008. Ralph was a member of First United Methodist Church of Rockwall for 85 years. 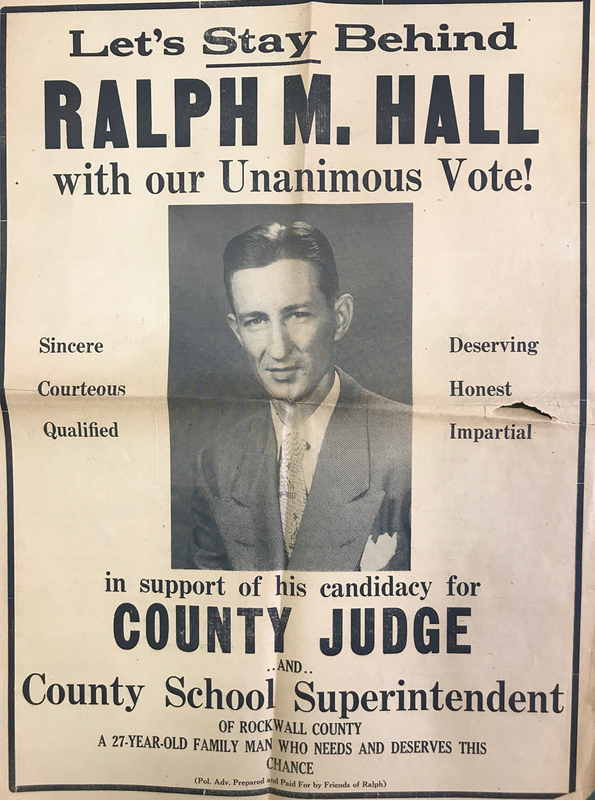 Ralph was elected Rockwall County Judge in 1950 at the age of 27, while still in law school, becoming one of the youngest county judges ever elected in the State of Texas. In 1962, Hall was elected to the Texas State Senate where he served until 1972. In 1972, he ran unsuccessfully for Lieutenant Governor of Texas and left politics to continue his career as an attorney and businessman. 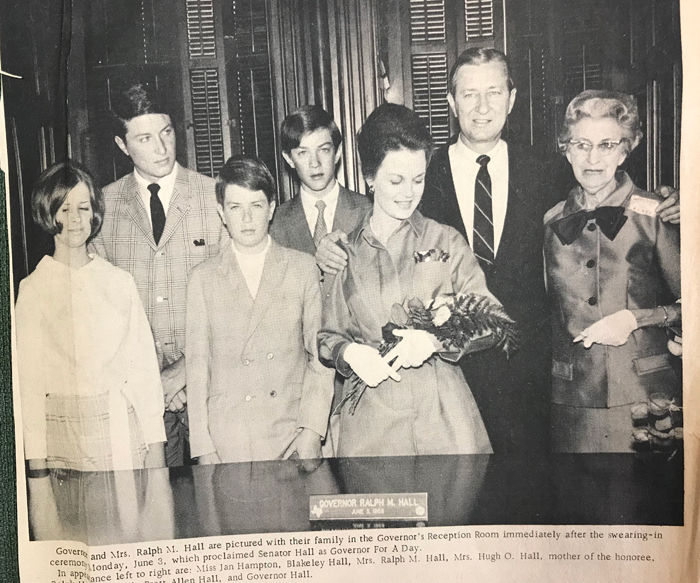 During this time, Hall became President & CEO of Texas Aluminum Corporation and was the founding member and Chairman of Lakeside National Bank of Rockwall. 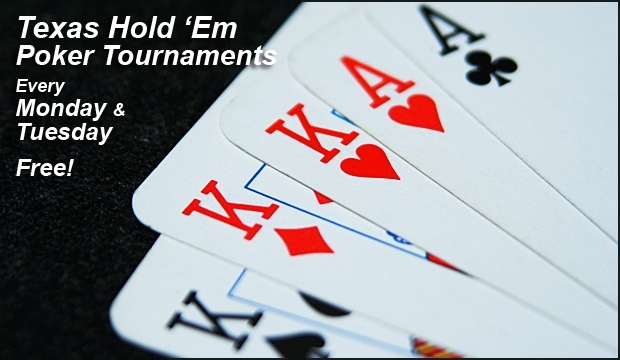 He also continued to build his law practice with his longtime friend and law partner, Don Stodghill. 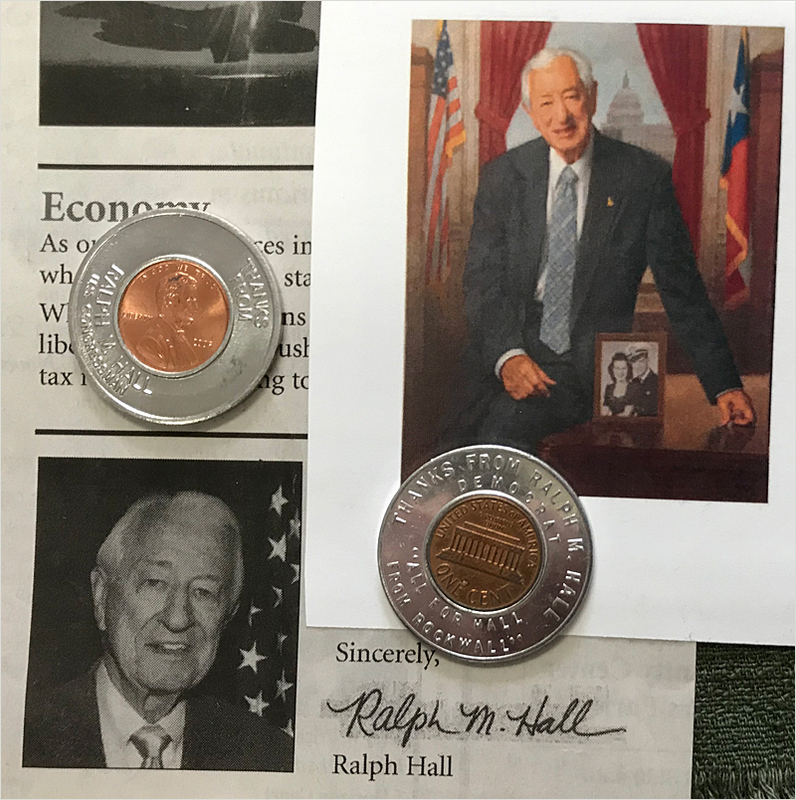 On June 3, 1968, Senator Ralph Hall served as Governor for a Day for the State of Texas. 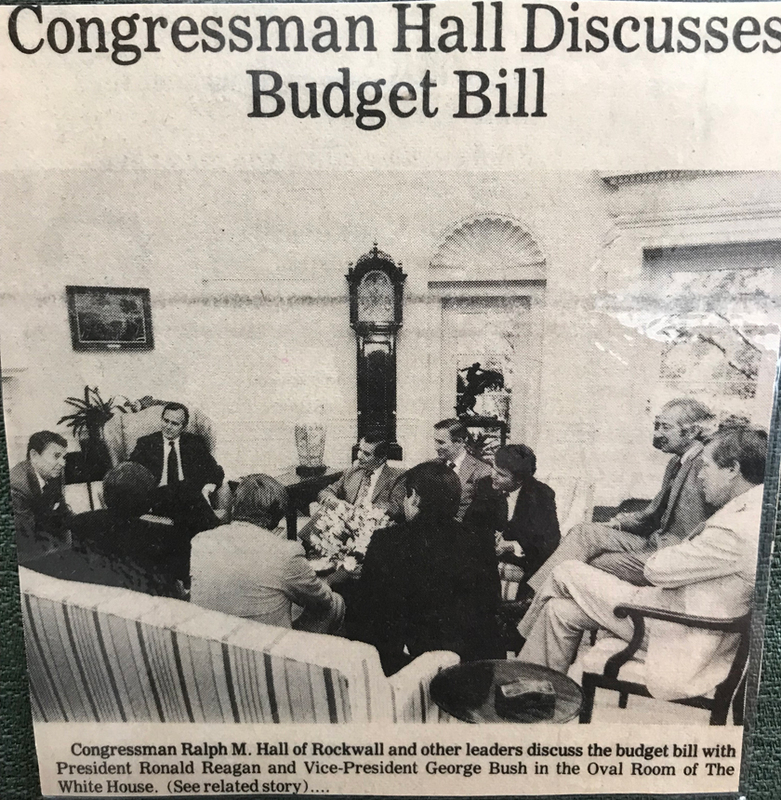 In 1980, Hall was elected to Congress and continued his lifelong desire of serving the public, representing the 4th Congressional District until 2015. He described himself as “an old-time conservative Democrat” and for many years, he was one of the most conservative Democrats in the House. Despite the 4th District’s increasingly Republican tilt, he won multiple terms as a member of the Democratic Party with an average of 60% of the vote. By the 1990’s, he was the only elected Democrat elected above the county level in most of his district. Believing he had an obligation to continue to pull his party back to the middle, Hall was one of the co-founders of the Blue Dog Coalition, a group of moderate and conservative Democratic congressmen. In 2004, Hall switched parties and became a Republican, believing this best served the views and needs of his constituents in the 4th District as well as his own personal conservative philosophy. He also cited his support and admiration for his friend President George W. Bush, believing he could better support the President as a Republican. 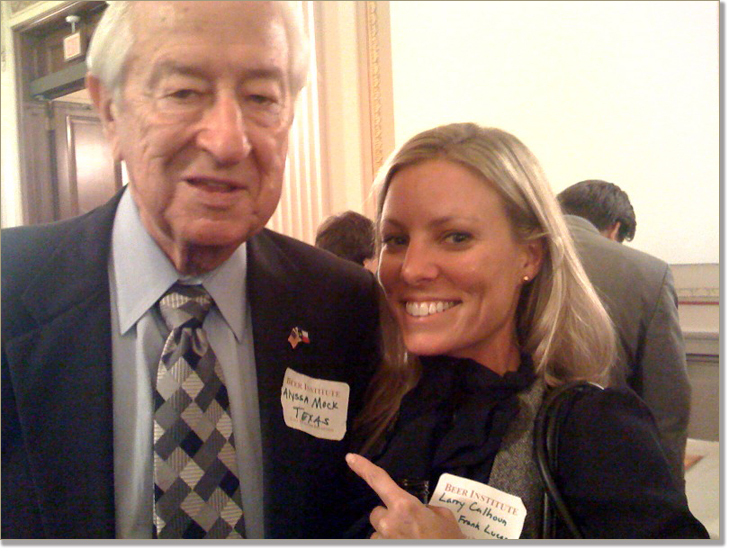 Always young at heart, Ralph Hall joined the social media platform to keep up with the times. 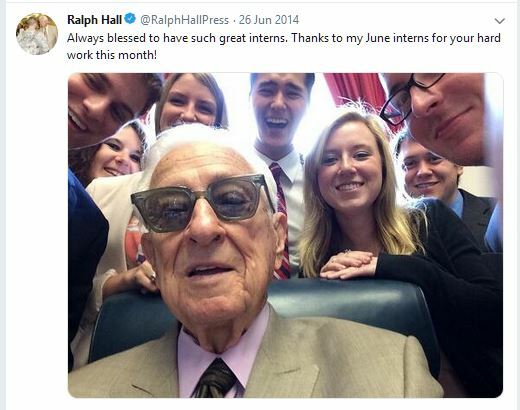 A Tweet from 2014 showed the warmth and humor he shared with his interns. At age 91, Hall was the oldest serving member of Congress and at the end of his last term in office, he was the oldest person to ever serve in the House of Representatives, the oldest person ever elected to a House term and the oldest House member ever to cast a vote. He and Michigan Congressman, John Dingell, were the last two World War II veterans serving in Congress. Hall was the last member of Congress from the G.I. Generation. Hall led a colorful full life, once claiming to have served food to Bonnie & Clyde while he was a youth working at the Rockwall Drug Store. Ralph loved all people and he loved his family and his hometown of Rockwall. He opened many doors and created many opportunities for many people including his friends and family. Funeral services will be held 2:00pm Saturday, March 16, 2019, at First United Methodist Church, 1200 East Yellow Jacket Lane, Rockwall, TX 75087. Interment will follow in Rest Haven Memorial Park.